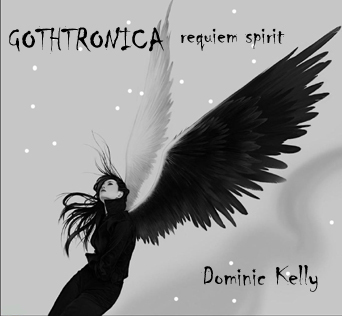 ***New GOTHTRONICA Music by Dominic Kelly*** GOTHTRONICA Requiem Spirit, by Dominic Kelly at Amazon, the long-awaited follow up to the original Gothtronica music CD "Gothtronica" is now available on iTunes: GOTHTRONICA Requiem Spirit - iTunes, Amazon.com, and most other online music outlets. Gothtronica has been previously featured on NCIS, and this is the second Gothtronica music released by Dominic. GOTHTRONICA Requiem Spirit is now available on iTunes: iTunes, as well as most other online music outlets. ***New GOTHTRONICA 3 Music by Dominic Kelly featured on NCIS in Abby's Lab. 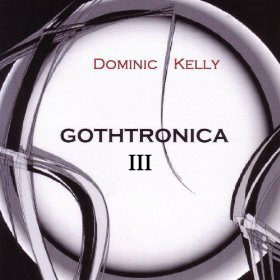 *** GOTHTRONICA 3, by Dominic Kelly at Amazon, the follow up to Gothtronica: Requiem Spirit "Gothtronica III" is now available on iTunes: GOTHTRONICA III - iTunes, Amazon.com, and most other online music outlets. Gothtronica has been previously featured on NCIS in Abby's lab scenes, and this is the third Gothic Electronic album released by Dominic Kelly. You can also purchase the original Gothtronica album of Gothic electronica music. Some of this music has been featured on the CBS show NCIS. Buy Gothtronica by Dominic Kelly on iTunes and Amazon.com.